Simply Extraordinary! Water views are breath taking enhanced by location being on two combined lots with 130 plus water frontage and nothing blocking the southwestward and westward views to the waterway, beautiful sunsets, and waterfoul galore! 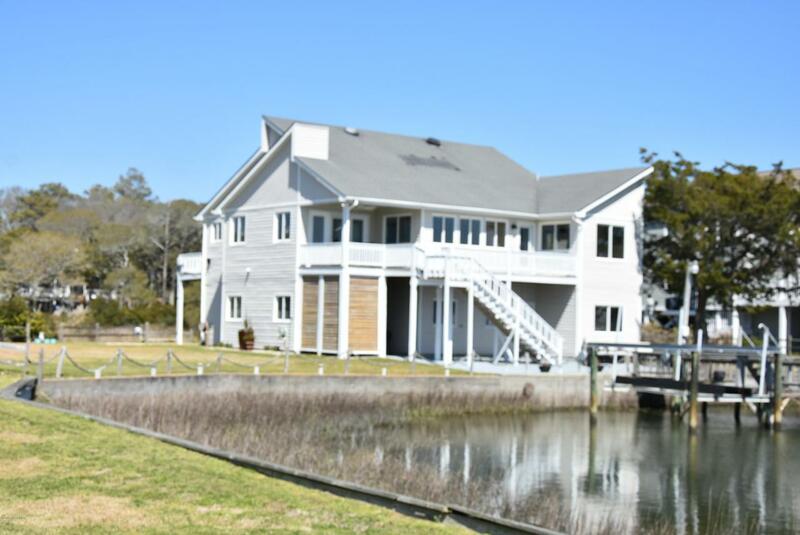 Desgined to enjoy the surroundings, the open living/dining/kitchen areas have lots of windows and open onto the open decks, patio and waterfront amenities: pier, docks, ramp and boat lift! The master ensuite boasts windows looking out to the water views and a door opening onto a secluded porch to enjoy the summer breezes while breathing in the tranquility of the surroundings. To complete the sleeping accomodations there are two guest bedrooms sharing a convenient bath. Updates: A/C 2017, W/H 2014, D/W 2014,Outdoor shower, Flood Ins $1296.In addition, New remote control for boat lift, 2014; New Floating Dock and Aluminum Walkway in 2015. The conditioned area in the first/ground level floor is included in the square footageb heated area of the home as it is a great area to play, enjoy family time with the stairwell conveniently located to the living area on the main level. Don't miss the walk-up attic with great storage capability! Completing the ground level are two full sized garage bays with ample room to have additional toys, such as a golf cart, bikes, and even a work shop! This is truly a dream for a family who desires to live and play on the water! The community is unique in its design with a yacht basin as the center of the neighborhood. Utilities include municipal sewer and water.